We design, engineer, program, install, and maintain home automation systems and commercial control systems throughout Lexington KY. As Control4 installers, we provide simple control of integrated technology and automation comprised of audio, video, lighting, shading, climate control, energy and power management, networking, phone, and security components. Our extensive experience, customer focused approach, and high quality of service makes it easy for you to experience all the benefits of customized technology solutions for your home or business. Our mission is to connect people with innovative technology solutions to simplify and enhance their lives at home and work. Our pledge is to establish lasting relationships with our customers by exceeding their expectations and gaining their trust through exceptional performance and delivering easy-to-use options for all electronics systems within their residential or commercial space. Our friendly, knowledgeable and professional staff will help inspire, educate and problem-solve for our customers. 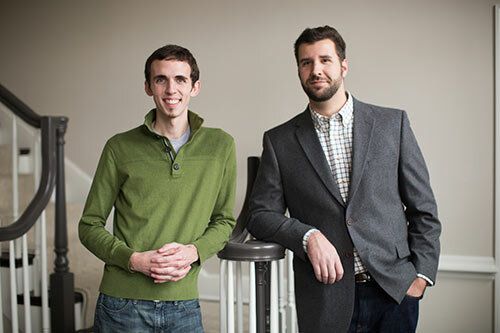 Josh Clark and Jon Fox founded Rely in 2008 with the goal of creating a smart home company that would make life better for everyone it encountered. They believe Rely should be the favorite contractor of every customer, the most enjoyable workplace of every employee, and the greatest possible benefactor to its community. Two things Josh and Jon put the most emphasis on are creating a strong team culture and always improving. This shows in the team’s Friday mornings. The day begins with an all-team meeting to share wins for the week and discuss opportunities for improvement. Then time is spent on continuing education, training, and other business development activities. Finally, the company buys lunch for everyone before heading out to different appointments in the afternoon. This has become a key to Rely’s continued improvement as a business and a favorite time of the team as a whole.